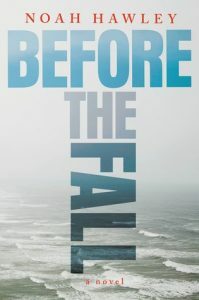 The Hudson Area Library Book Club will meet on Wednesday, October 26 at 3:30pm in the Community Room of the Hudson Area Library for a discussion of Before the Fall, by Noah Hawley. Books may be borrowed through the Mid-Hudson Library System. All are welcome to join the book club discussion. This entry was posted in Adults, Programs and tagged Book club, hudson area library by Paul. Bookmark the permalink.